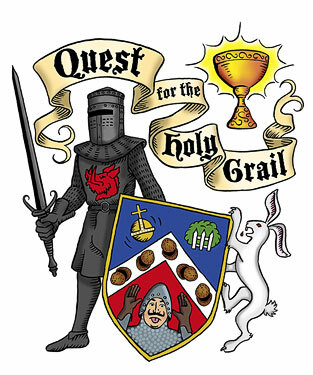 Since the beginning of the new millennium, the education reform organizations nave been chasing the holy grail that would eliminate the student academic achievement gap, The education reformers came up with many ideas on how to eliminate the student achievement gap. At first they proposed smaller class sizes, more resources, and quality teachers, even if that meant paying them more. However, these ideas failed to significantly narrow the student academic achievement gap. Therefore, the education deformer started to blame the public school system, especially the unionized teachers for the student academic achievement gap. For example the Obama-Duncan Race to the Top program forced States to implement a teacher evaluation system that linked student growth to teacher effectiveness. It hardly mattered that a study by the American Statistical Society showed that any one teacher had only between 1% to 14% impact on their student's growth, Many states used a percentage of between 40% and 50%, In fact, the student growth formula used was "junk Science" and in New York State a court found it to be true. As the education deformer organizations could not close the student academic achievement gap, they proposed merit pay, elimination of tenure, limited collective bargaining rights, and the right to fire "ineffective" teachers.by weakening their due process rights. Instead of being allies to the public school system the education deformer groups became the enemy by supporting and funding charter schools, online schools, as well as private and parochial schools. They supported the school choice program that allowed any child to get a voucher and apply to any school. The heyday of the education deformer movement was betweent 2006-15, when Arnie Duncan headed the Federal Department of Education and most States had education deformers in charge of the State education systems. Because President Barack Obama supported the education deformer education policy and the States desperately needed the Race to the top funds during the great recession, quite a few states implemented an education reform agenda, The result was vastly disappointing. The student academic achievement gap was as wide as ever, Moreover, the unrelenting attack on teachers throughout the nation made college graduates flee the profession and widespread teacher shortages are a contining problem.nationwide resulted from the unrelenting attacks on teachers. I believe the pendulum is starting to swing the other wayas the education deformer orgabnizations are slowlly losing power and teachers are standing up for a livable wage. Example West Virgina. 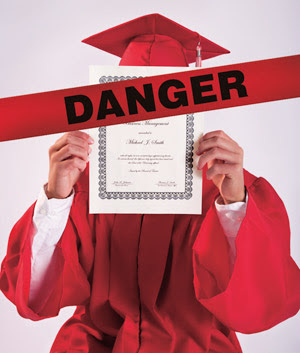 DOE ContinuesTo Award Bogus High School Diplomas. In the New York Post today there is an article on the New York State Department of Education audit of the "credit recovery" courses used by Brooklyn's John Dewey High School. These credit recovery courses were nicknamed by the students as "easy pass". Students not eligible to take the credit recovery courses were allowed to, despite teacher complaints. Most credit recovery courses had no actual teacher, just a packet. 75% of the students were wrongly awarded a diploma due to the bogus creit recovery courses. One rookie teacher was responsible for 52 credit recovery courses in one semester. While the Principal was removed and the DOE went through the motion to fire her using the 3020-a process. The DOE sabotaged its own case by not allowing officials to appear at the hearing that would have showed the DOE rubber stamped the "easy pass" system. The result the ex Principal, Kathleen ­Elvin, now has cushy $169,916 job as a supervisor in the DOE’s Office of Safety Youth Development. You can read my article Here. This is just another example how the DOE rather issue bogus high school diplomas rather than give the students the education they deserve. The DOE Is Run By A Bunch Of Imbeciles - The Anna Poole Story Proves It. I have always snickered at the DOE motto under Mayor Bloomberg it was "children first...Always! When the truth is that the DOE does what's best for the DOE not for the children in the classroom. The DOE gobbles up way to much of the money it receives from the City, State, and Federal governments while keeping schools at near recession era budgets by giving them only 88% to 90% of their fair funding. Many of the DOE departments are bloated, especially the Office of Legal Services and the Accountability group. It's little wonder that teacher 3020-a hearings are as high as ever, as the DOE lawyers needs to justify their bloated budget. While paperwork overloads teachers as the Accountability group needs it for their useless data mining operation. Not only is the DOE the enemy of the classroom teacher but are a bunch of imbeciles as well. Just take a look at the Anna Poole story. Anna Poole was n untenured Science teacher who tried to do a Chemistry experiment that was considered dangerous and could result in injuries. No experienced Science teacher would attempt this experiment without proper safeguards but Anna Poole did. Beacon High School, rather than hire an experienced Chemistry teacher from the ATR pool chose an untenured rookie teacher to lead their students. The result was disastrous as her inexperience resulted in an explosion that disfigured one student, burned another and gave a third student PTSD..
Was Anna Poole fired? Nope! She was instead promoted to become an instructional specialist at the DOE. I guess on how to prepare laboratory experimenter that can explode and injure students. Now she has been promoted to become DOE instructional Supervisor to help teachers prepare Science lessons, complete with a $25,000 raise! Like I said the DOE is run by a bunch of imbeciles! Why I Can't Support Black Lives Matter. In a reaction to police injustice how young Black men were treated an organization was created called "Black Lives Matter". This group was a vocal advocate of treating the young black men with the same respect as all other people. However, the Black Lives Matter group slowly morphed into a political organization and seemed to move away from their roots. While the Black Lives Matter movement still had a focus on anti-police action when they could exploit incidents that show the police abusing their authority and rightly so. The movement has also taken an ideological slant that is quite disturbing to me. 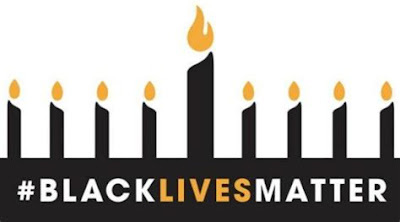 For example the Black Lives Matter movement supports the Boycott Disinvestment and Sanction (BDS) organization against Israel, an anti-Semitic movement dominated by pro Palestinian and far left fringe groups. Over the last couple of years and especially after the Ferguson Missouri incident. Black outrage against the police resulted in Black Lives Matter to represent them. Why they would support Anti-Semitic issues and single out Israel is puzzling. Black Lives Matter has a foreign policy fact sheet and only identifies one country for criticism, Israel and calls the country an‘apartheid state’ committing ‘genocide’. Yet, there us no mention of Syria, which kills thousands of its civilians with chemical weapons, barrel bombs, and rapes children. Back Lives Matter fails to mention Iran, a sponsor of terrorism. How about North Korea or Burma? Read it for yourself Here. 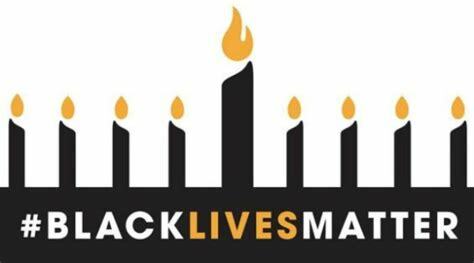 Despite the historic alliance between Blacks and Jews, Black Lives Matter has joined the Anti-Semitic far left fringe groups in attacking the only Jewish State in the world, Israel. That is why I cannot support Black Lives Matter. The unions, lead by the UFT, is sounding the alarm about what the Janus decision will do to public unions. Granted, the unions will lose the right for mandatory dues checkoff and data from Michigan shows that approximately 20% of members refused to pay union dues when the State banned mandatory dues to the unions. These members who refuse to pay their fair share of union dues but still must be represented by the union are known as "free riders". How will it affect New York State public unions? Here is my best guess. In a post Janus New York, unions will still have Civil Service protections in the form of the Taylor Law. The Taylor Law requires that Municipalities must bargain in "good faith" with unions. That includes arbitration, meditation, and hearing of grievances. It also penalizes unions who participates in work stoppages or strikes. One of the most important amendments is called the Triborough amendment. The Tribourough amendment requires that all municipalities cannot change work rules or alter the last contract. until a new contract is negotiated with the union. That means that once a contract lapsed, all the provisions of that contract stays in force until a new contract is agreed upon by the union. You can read my take Here. As for the UFT? They have a political action wing that relies on voluntary contributions called COPE Therefore, if you believe our union leadership that no union dues pay for political or social causes, then the reduction in union dues colected will have little or no effect on union contributions to politicians since COPE funds are unaffected by Janus. 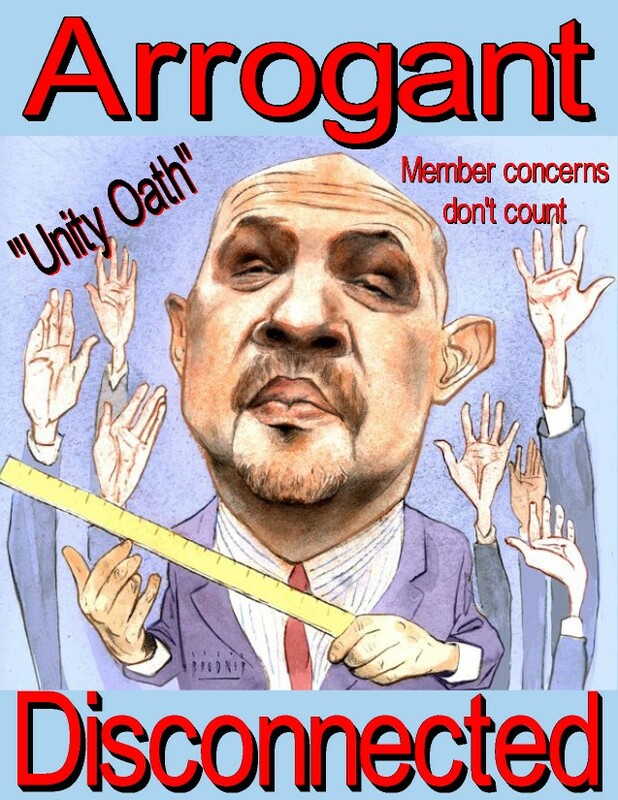 Therefore, any future contract negotiations with the City should not be significantly affected by the UFT receiving less union dues, despite the scare tactics the union leadership will employ on their members. When the UFT comes knocking at your door and tells you what Janus can do to the union's power and our benefits, TAKE WHAT THEY SAY WITH A GRAIN OF SALT. The Tier VI Teacher Retirement Game Is A Sucker's Game. 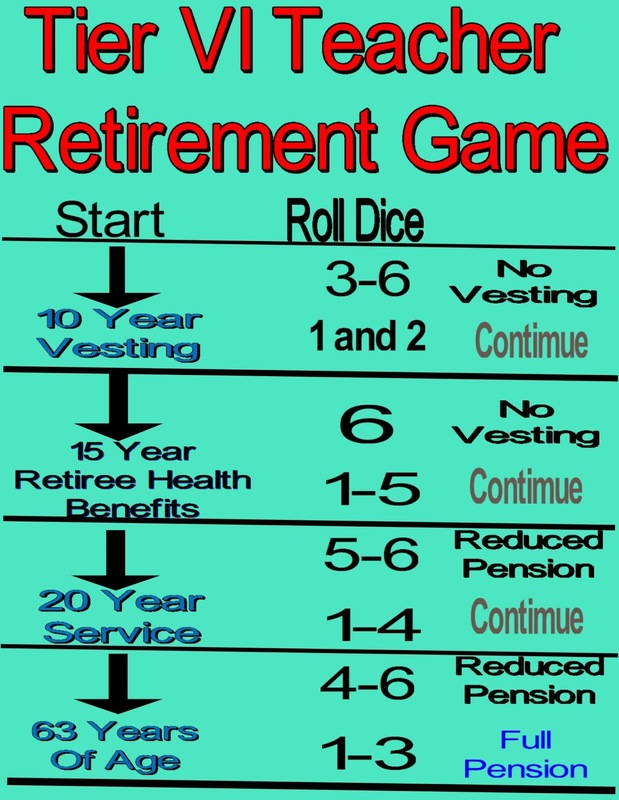 The Tier VI retirement game is based upon reasonably conservative assumptions on how difficult it is for a Tier VI teacher to reach their goal of full retirement benefits. 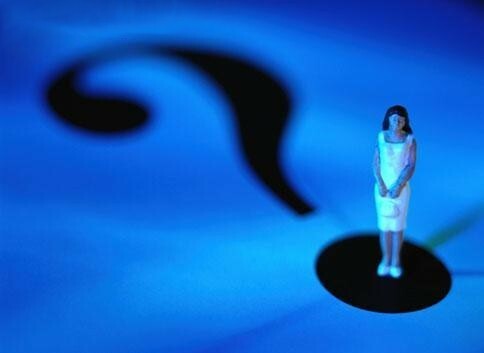 The first step is to reach the 10 year vesting period necessary to receive a pension. Based on the Manhattan Institute report on Fairer Pensions, only 33% of all New York City teachers (Mostly Tier IV) will last long enough in the New York City Public Schools to be vested for a pension. This is a conservative assumption since the study was done before the New York State Teacher Evaluation System and the use of the Charlotte Dainelson rubric that is used as a weapon against teachers. Other cities report percentages in the teens and that will probably be the value for Tier VI teachers in the future. Next, for those 33% of Tier VI teachers that are vested, the next goal is obtaining retiree health benefits, To achieve retiree health benefits the Tier VI teacher must have 15 years in the system, Since this is only 5 years over the pension vesting period, I assumed that only 17% of Tier VI teachers will not achieve that goal. To get to the maximum percentage (1.75%) to calculate the 5 year Final Average Salary (FAS), the Tier VI teacher must have a full 20 years in the pension plan. Otherwise the FAS is calculated using a 1.67% factor rather than the 1.75% factor once they completed their 20 year of service. According to various studies, only 67% of the teachers (Tiers 1 thru 4) actually reach the 20 year threshold if they had completed 15 years This is true in New York City where veteran teachers are targeted. 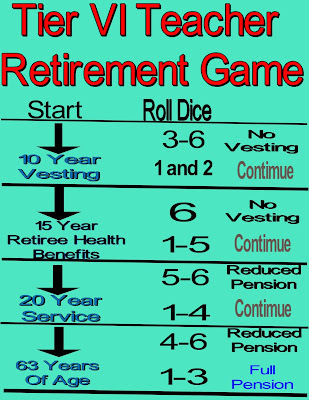 Therefore, in the Tier VI retirement game I conservatively used 67% of the Tier VI teachers who reached 15 year of service will last another 5 years to the 20 year goal of maximum percentage when calculating their five year FAS. Finally, to reach full retirement benefits and a maximum pension, the Tier VI teacher must reach 63 years of age. Otherwise they are subject to an age reduction factor of as much as 48%! Only 50% of Tier VI teachers who meet the above criteria will reach full retirement age. Is it any wonder that a Tier VI teacher has the odds stacked against them as they strive for full retirement benefits? If you play the game you only have a 9.2% chance of achieving your goal and that's probably close to what will happen as the Tier VI teacher moves closer to retirement in in the year 2032 and beyond. The bottom, line is for Tier VI teachers, reaching full retirement is a sucker's game. Mayor Bill De Blasio Is More Like Michael Bloomberg.When It Comes To Education Policy. When Bill de Blasio was a candidate for Mayor he positioned himself as the anti-Bloomberg. 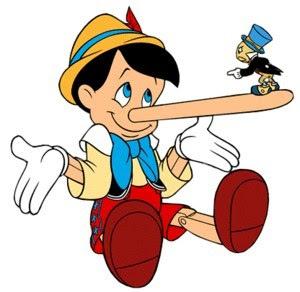 His campaign promise was to reduce class size, bring respect to the teaching profession, and no more closing schools. To be fair, Bill de Blasio did live up to his promise in limiting charter, schools, appoint an educator as Chancellor, and to cooperate with the UFT on a new contract, However, in the first term Mayor Bill de Blasio appointed a Joel Klein Deputy Chancellor (Carmen Farina) who turned out to be more the problem then the solution as she kept 80% of the Bloomberg era policymakers and picked Superintendents on who they knew rather than what they knew. Ask the teachers in the trenches if the classroom environment is different now then under Michael Bloomberg and their answer is a resounding no! Class sizes are far too large, Charlotte Dainelson is still used to evaluate teachers, and 3020-a charges against educators remain high and essentially unchanged, when compared to the third term of the Bloomberg era. In addition, the "gotcha philosophy" is still the theme of the day and the DOE still goes after veteran teachers, either by their fair student funding policy or by Charlotte Danielson as administrators used the rubric as a weapon to force senior teachers to either retire or face 3020-a charges. The ATR pool continues to exist with 1,300 ATRs still without a classroom, despite candidate Bil de Blasio's intention of placing them in vacancies when he became Mayor. Finally, the racial/income achievement gap is as large as ever. Another example of Mayor Bill de Blasio becoming more like Michael Bloomberg is he forced one of his PEP appointees to resign after she voted not to close two Far Rockaway schools. In some ways the Bill de Blasio administration is worse. He allows cellphones in the schools despite evidence that student cellphone use reduces academic achievement. He also limited student suspensions and is a supporter of restorative justice instead. The result is the most students feel less safe in the schools. The lax student discipline code is a disaster. 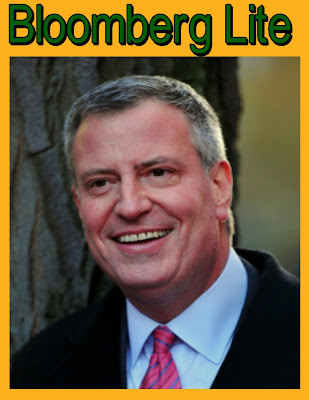 Read the NYC kids pac report for all the promises that Mayor Bill de Blasio broke in the 2016 Mayoral report card.. The bottom line Mayor Bill de Blasio is becoming more like Michael Bloomberg and that can only increase he already low morale of the classroom teacher and hurt the students down the road. Will The New Chancellor Eliminate The Bloomberg Ideology That Permeates The DOE? Starting in April, the new Chancellor, Richard Carranza, will take over the New York City school system. Obviously, any substantial changes will have to wait till the next school year, Hopefully, he will do what Carmen Farina failed to do and that is to "clean house" at the DOE. Carmen Farina was as much the problem rather than the solution as she retained 80% of the Bloomberg policymakers. Already, Carmen Farina has transferred her close friend and failed Renewal Superintendence, Amiee Horowitz. to a position she will still oversee after her retirement. I can only hope that the new Chancellor will get rid of the many Bloomberg era policymakers that has made the DOE the enemy of the classroom teachers. In particular, Mr. Carranza should eliminate the destructive Fair Student Funding formula that discriminates against veteran teachers. Worse yet, the schools are only funded at between 88% to 90% of their fair funding while the DOE's Central Bureaucracy was cited by Controller Scott Stringer for increasing their expenses by 24% since 2012, while teacher overhead increased by only 12%. 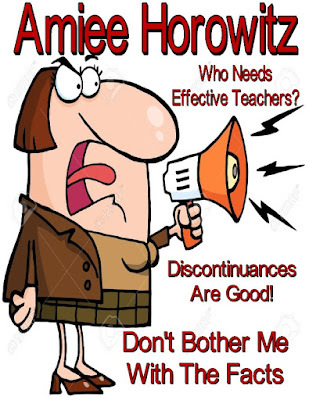 Bring back unit based hiring that will encourage principals to hire veteran teachers without being penalized in their budget while eliminating any financial advantage to hire "newbie" teachers as it is presently. Eliminate the ATR pool by allowing ATRs first choice in vacancies in their district. No teacher outside the district can be hired until all ATRs in the district are placed. Reduce class sizes and ensure properly certified teachers are teaching in their content specialty. Have a "zero tolerance policy" on academic fraud and eliminate the "double standard"when disciplining teachers and administrators. Finally, the new Chancellor should reach out to the teachers and not just the union leadership as Carmen Farina did. The new Chancellor should allow teachers to teach the way that is best for their students and not be micromanaged by administrators. Furthermore, eliminate the Charlotte Dainelson rubric for evaluating teachers and reduce observations from 4 to 2 a year. Finally, eliminate the useless and worthless PD that makes Monday and Tuesday a living hell for teachers. Carmen Farina's Flunky, Amiee Horowitz, Gets A New Job. Amiee Horowitz a close colleague of Chancellor Carmen Farina was rewarded by the outgoing Chancellor by being appointed to lead an initiative to help schools who share buildings. To me it appears the Chancellor, in trying to protect her close frined, and decided to have Amiee Horowitz work on the initiative that Ms. Farina will be involved in after she is no longer Chancellor. You can read the Chalkbeat article Here. Why do I think as I do? Let's look at all the negative issues associated with Amiee Horowitz. First, as the District 76 Superintendent she tried to railroad an untenured teacher who reported Regents cheating. Instead of simply discontinuing the teacher, Amiee Horowitz tried to file a C-31, a license revocation. You can read the teacher's story in my article on cronyism over competence. Second, under Amiee Horowitz, a Renewal School, Flushing High School was caught in a massive Regents cheating scandal. What did Ms. Horowitz do? Nothing, nothing at all. you can read the sickening details Here. 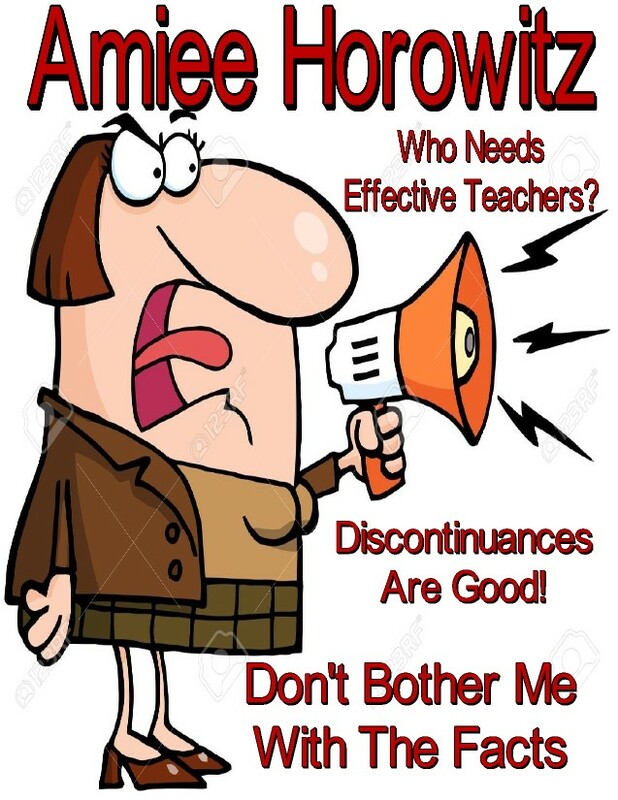 Finally under Amiee Horowitz, the Renewal Schools ended up hiring "newbie" teachers, rather than experience educators and the academic results were predictably poor. The post is Here. Just like a "bad penny" Amiee Horowitz continues to show up in high level DOE positions at the expense of real education experts. Here are more stories about Amiee Horowitz. Here and Here. Why Many UFT Members Are Conflicted About Paying Dues. However, ATRs Are Not. New York City Educator wrote on his blog why we all should be paying union dues when Janus is settled. He correctly points out why union representation is important and despite the arrogance of the union leadership, we must stand together. I considered myself a loyal union member and help other members with their issues. However, its hard to be loyal to a union who's leadership cares more about themselves and political favors than the members they are supposed to represent. As an ATR I am furious how we are treated as second class citizens and if you came out of discipline, an untouchable, Moreover, the ATRs have no chapter representation and cannot request a change of schools. Finally, there is no mutual consent as the ATR cannot refuse an assignment. Let's not forget the field supervisors as well. The DOE treats the ATR as if they are "bad" or unwanted teachers as the DOE fair student funding policy makes hiring veteran ATRs financially unappealing. The union leadership, rather than pushing the DOE to eliminate this unfair policy, looks the other way. Notice how the ATR issue wasn't addressed by the UFT on negotiating the next contract? When three out of four union members didn't even bother to vote in the last union election, How many will voluntarily pay their union dues? 60%, 70% or 80%?. Who knows? However, when it comes to the ATRs I suspect the majority will refuse to pay their union dues since they feel the union leadership has failed to properly represent them. While NYC Educator is right that we need a union to protect our hard won gains, the problem is that our union leadership does not deserve the respect from the members, especially the ATRs who have been betrayed time and again by the self-serving Unity leadership. Read ATR Adventures blog for how most ATRs feel about the union leadership. 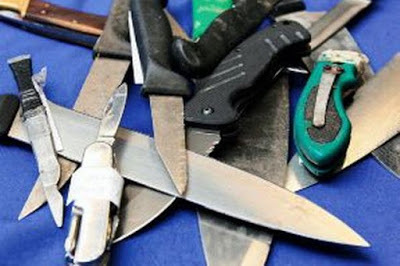 How Safe Is Our Schools? Not Safe At All According To The NYPD. In the first semester of the 2017-18 school year saw a spike in arrests summonses, and use of restraints by the NYPD in the New York City school system. The Daily News article reported that the major crimes in the schools increase was 8% over the same period in the 2016-`17 school year. The figures published Friday show reported incidents of major crimes in the public schools, such as larceny, arson or robbery, rose to 163 in the period of October through December 2017. That's up from 151 in the same period in 2016. Obviously, the weakened student discipline code, the emphasis on restorative justice and reduced suspensions have empowered misbehaving students to commit offenses that require NYPD intervention. Mayor Bill de Blaio may claim the schools are safer but with arrests up and students feeling less safe, the opposite is true. 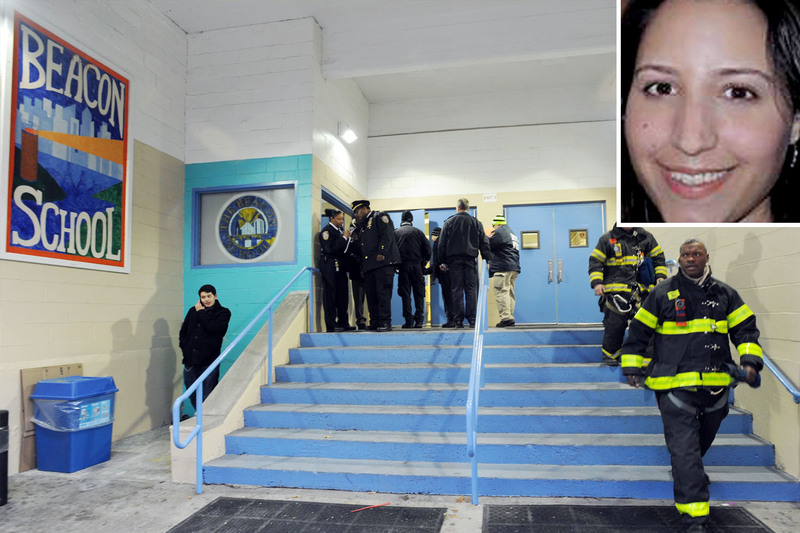 Are the New York City school safe? Not according to the NYPD statistics.